As MCC employees will be aware, the Council has recently launched new time-limited Voluntary Severance and Voluntary Early Retirement schemes, which are open to staff from 6 December 2012 to 25 January 2013. In order to ensure our members remain as fully informed as possible we have updated the VER/VS FAQs we issued last year and these have been included below. 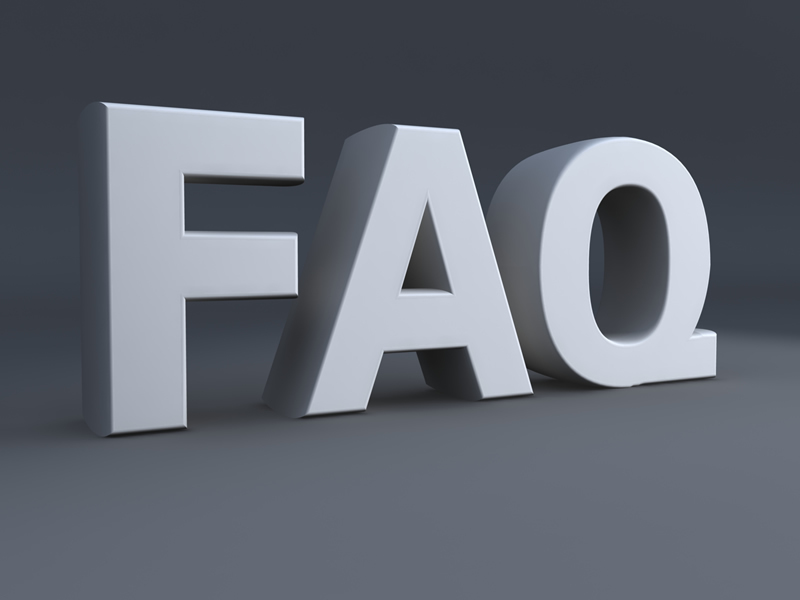 Please check our website regularly for any updates to this FAQ and if you have a query which is not covered here then please contact the Branch on 0161 254 7500 or by email at unison@manchester.gov.uk. 1. Will I be able to work again for MCC in the future? The original strategy for re-employment of former staff prevented individuals from returning to the council for three years when they left after taking VS/VER. After representations by UNISON, however, this was amended to allow job applications from ex-employees after a minimum period of 2 years from the date their contract with MCC is terminated. 2. If I receive and accept an offer of VS/VER how will agreement be made and be legally binding? The scheme is a discretionary one, so all offers are at the sole discretion of the Council. All agreements in respect of Voluntary Severance and Voluntary Early Retirement offers are voluntary both on the part of the employee and the Council and are subject to Compromise Agreement/COT3 being agreed taking into account all individual circumstances. 1. I am employed by Manchester City Council as a result of a TUPE transfer from an outside employer. Will my service for the purposes of calculating Voluntary Severance be the date that I started with MCC, or will the service I transferred in from the previous employer(s) count? Because you have been the subject of a TUPE transfer, the service for calculating your Voluntary Severance will be the whole of your service that you have transferred in under the transfer agreement, as well as service with MCC. 2. I have worked for MCC full-time for many years, but 18 months ago I reduced my hours. Would my Voluntary Severance be based upon my full-time salary or my current part-time salary? Your Voluntary Severance calculation would be based upon your weeks pay on your last day of service, so if you are now part-time, it will be based upon your current part-time salary. 3. I am currently in receipt of three years pay protection. In calculating my severance package will this be based on my actual pay, including pay protection, or will it be calculated on the salary of the grade of my post? Voluntary Severance will be calculated upon your weeks pay on your last day of service, so this will include your salary protection if it is still in payment. 4. I am due to go on maternity leave shortly. If I were to decide to apply for Voluntary Severance, how would this affect my maternity leave? If you apply and are accepted for Voluntary Severance, then on the agreed date your contract with MCC would be terminated. As you would no longer be employed by MCC your entitlement to Occupational Maternity Pay (OMP) would cease and you would only receive Statutory Maternity Pay (SMP) from the Department of Work and Pensions. For more information on the amounts you can claim under SMP then please visit the Directgov site here. 5. I am currently on maternity / adoption leave. Do I have to repay my maternity / adoption pay if my application for VS is accepted? If an employee is currently on maternity / adoption leave, or has returned to work following maternity / adoption leave in the last 3 months, they would not be required to repay the Council their maternity / adoption payment as outlined within the relevant policies. Where an exit package is approved and an employee is on maternity / adoption leave, their occupational maternity / adoption pay would cease from the exit date. Any statutory entitlement for maternity / adoption pay through the Council’s payroll would continue to be paid although their employment would have ceased. 6. If I take the offer of Voluntary Severance, would I then be able to access my pension when I reach the age of 55? There is no right to access your pension when you reach 55. You would have to make a formal request to the City Treasurer. The Council will only consider such requests on the grounds of real hardship or similar circumstances and applies rigorous consideration before agreeing. 7. I am a long-term employee of MCC and I want to know why my severance package is being capped when calculating the amount based on my actual number of years service would give me a greater incentive to apply? These are the terms of the MCC Voluntary Severance policy that have actually been improved from the original scheme as repeated representations from UNISON led to the council temporarily agreeing to raise the payment cap from 30 to 36 weeks for this period to 25 January 2013. 8. I am already due to leave with a package agreed, can I access the new scheme which is more beneficial? If the Council has issued notice to you it will not be possible to offer the new package. If notice has not been issued you can re-apply to be considered under the new scheme. 9. Will I be paid for any outstanding annual leave? No, any outstanding leave will need to be taken before your last day of service or will be considered to have been taken as part of the settlement. 10. I have previous continuous service with another local authority. Will this be taken into account? Yes, all previous continuous service that is covered by The Redundancy Payments (Continuity of Employment in Local Government, etc.) (Modification) Order 1999 (as amended) will be taken into account for the purpose of calculating severance payments. If you have a break in service then this will not count towards your continuous service, unless this break of service is less than seven days from a Sunday to a Saturday. The Redundancy Modification Order is available to view here. 11. Why is there no loss of office payments mentioned in the scheme? The Council does not believe that the loss of office payment previously offered in 2011/12 generated sufficient savings in respect of MCC Budget and is therefore not offering this as part of the general package. Any loss of office payments that may, in particular circumstances be considered, will be on an exceptional basis, will not generally be available, and only then with the approval of the City Treasurer and Lead Elected Member. 12. If I complete the request to be considered for severance, will this prejudice my position if I choose not to accept the offer made to me? Absolutely not. When completing a request for severance you are stating an expression of interest. The scheme is discretionary, and just as the Council may refuse requests, employees can decide not to proceed with their application once they have fully explored the offer. 13. I have two jobs with MCC and have received two severance letters. Do I have to request to leave both jobs, or can I request to leave one and remain in the other? Yes you can request to leave one and remain in another and each post will be considered for release on the basis of affordability, business continuity and skills. 14. I have worked for the authority for nearly 22 years. If I request and am accepted for voluntary severance, and manage to get another job within a different authority, will it be classed as continuous service with the new authority, if I get the job straight away? If you start a new job with another local authority straight away it will be classed as continuous service, however you need to be aware that in doing this you may be required to declare and repay any severance payment that you received from MCC. You need also to be aware that if you are offered a job by any organisation listed in the Redundancy Modification Order before you leave MCC, and you start the job within 4 weeks of leaving MCC, you may be required to repay your severance payment. 15. Why is my quote/offer based on my Actual Weeks Pay (AWP)? The Local Government (Early Termination of Employment) (Discretionary Compensation) Regulations 2006 require us to use AWP when giving staff severance packages. Your final offer will be given based on your contractual AWP at the date of leaving. 1. I reach the age of 55 after the scheme closes but during 2013, how will the scheme affect me? People who reach the age of 55 after the scheme closes, but before 31 DECEMBER 2013 will be provided with a voluntary early retirement estimate upon request. Depending on affordability and business considerations a decision will be made on whether the employee can be released. Decisions on applications will be made after 25 January 2013 and the latest release date will be by 31st December 2013. If your birthday falls after the end of the scheme but before 31 December 2013 you should express an interest in leaving now. If you decide to accept any offer the Council makes, you will need to be able to leave after your 55th birthday and prior to 31 December 2013. 2. I applied for VER previously but I wasn’t given a response. When the announcement about the new scheme was made I was advised to withdraw my original application and reapply when I got the offer for the new package. I haven’t received any paperwork yet, is this correct? If you applied for VER previously but the Treasurer did not approve your application and you did not receive information relating to an approval then you are able to reapply under the new VER scheme. 3. I am interested in taking VER and have been advised by Personnel that I am entitled to receive my pension only, whereas a work colleague of similar age and length of service is expecting to receive both severance and pension. Why is it different for me? Firstly, all VER calculations are individual. The City Council is making decisions about whether staff are able to leave early, as well as whether they will receive severance or not, based upon the affordability criteria. The affordability criterion initially looks at how much it costs MCC to employ you, in total, for 18 months. This figure is then set against the amount of money it will cost the Council to release you. In order for you to get access to your pension early, MCC needs to make a Lump Sum payment into the Tameside Pension Scheme (GMPF). The amount required to do this varies from person to person, dependent upon their individual circumstances. If the amount MCC has to pay to Tameside is greater than the cost to employ you for 18 months then you are unlikely to be allowed to leave early. If this amount is less than it costs to employ you then it is likely you will be allowed to leave, assuming that there is no negative impact on either service need or business continuity. The amount of severance paid, if any, is approximately based on the gap between the cost to employ you for 18 months and the amount paid to Tameside.